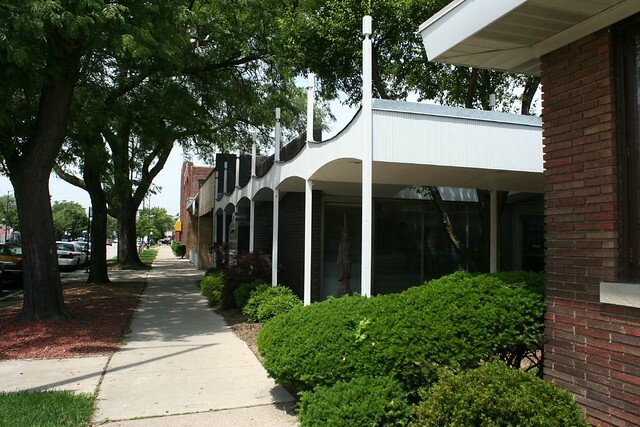 Currently, 2440 Peterson is home to Oral Surgery Associates. 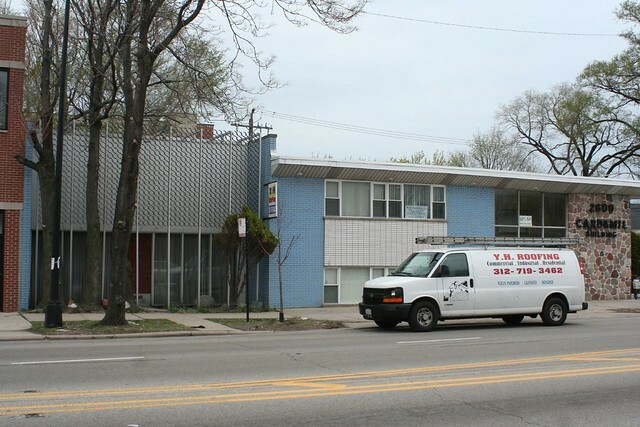 Like many buildings along this stretch of road, it has been home to dental practices since it opened in 1964. 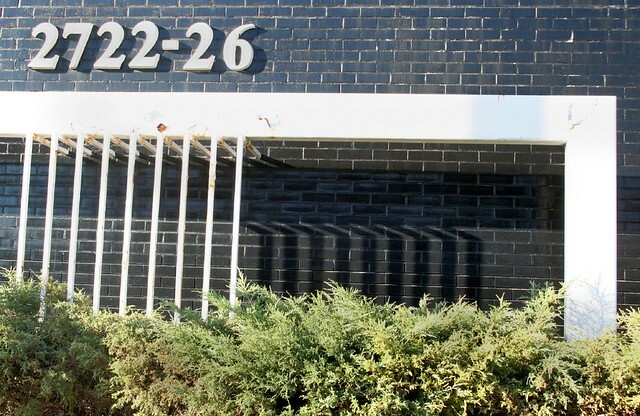 2440 is a plain brown brick building with a wide open east-facing glass facade. Its primary point of interest is the startburst-shaped entry canopy which shelters much of the courtyard and intersects the front facade. 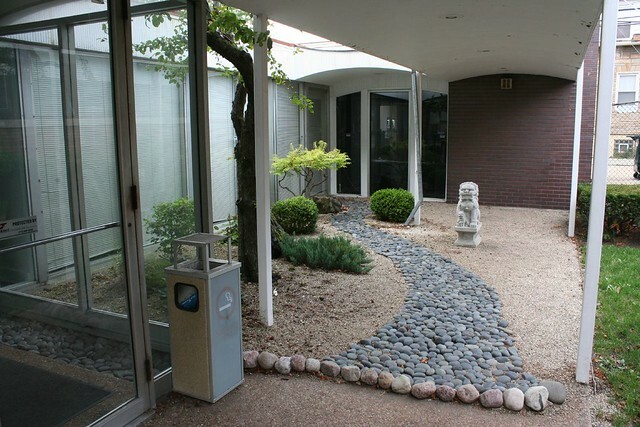 The result is a cozy and intimate space – an ideal setting for the rock garden that currently inhabits it. 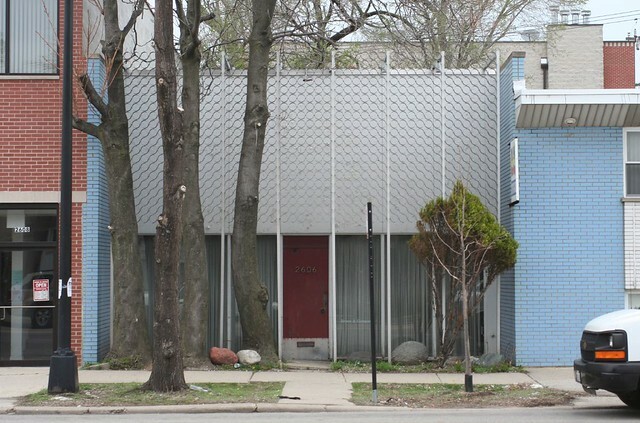 The winning component on this tiny office building is the concrete screen that shields most of the front windows. This lacy double layer of thin blocks filters light and views, allowing privacy while maintaining connection to the outdoors. Best guess for date of construction is 1965, the only time it pops up in the <i>Tribune</i> archives. 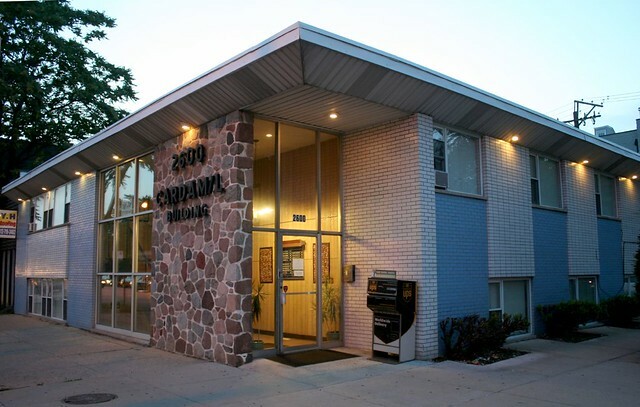 At first glance, it’s a fairly stock scheme, a 1961 building with blue and cream bricks accented by a random cobblestone wall section at the lobby. Can lights in the overhang illuminate the walls at night. Then you move down the street and realize that this extra bonus building is attached to it. 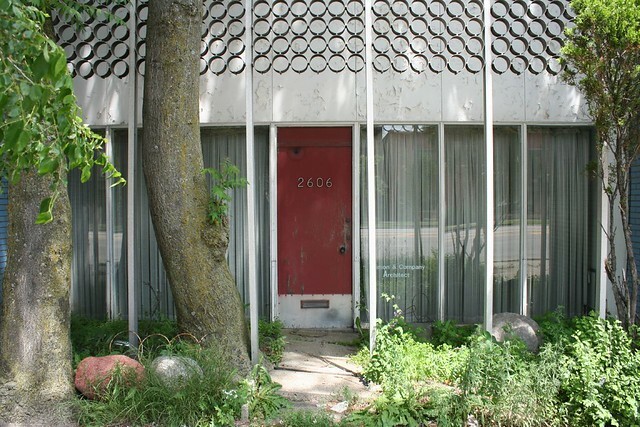 2606 W. Peterson is (or was) home to the architecture firm of Simon & Co. Generous windows are screened by heavy curtains, and the upper walls are given interest and volume by the addition of a screen of metal hoops. 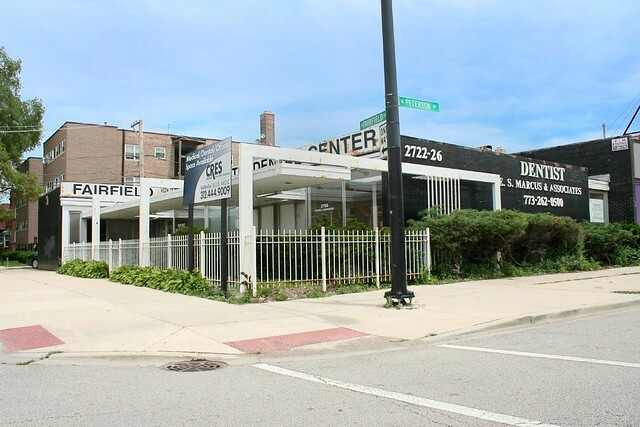 Early tenants in the main building at 2600 Peterson included F.C. 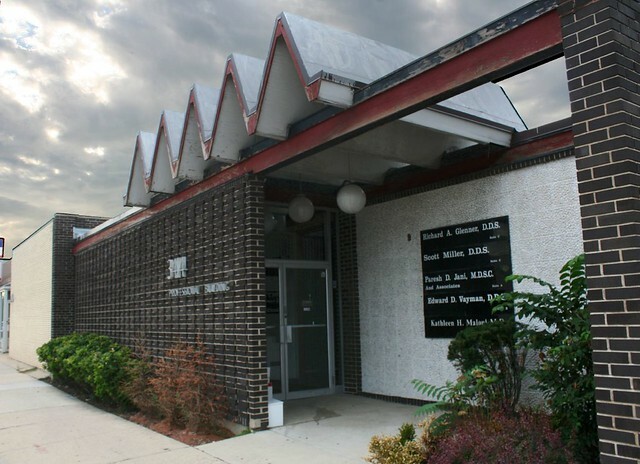 Power, an appliance distributor, in 1961; Wilbur-Ellis Co, beverage distributors, in 1962; by 1965 it was home to Engler, Schwechter & Associates, a legal or accounting firm. The dark bricks are a thin facade – on the west face, a few of them are peeling away, showing that they are less than an inch thick. 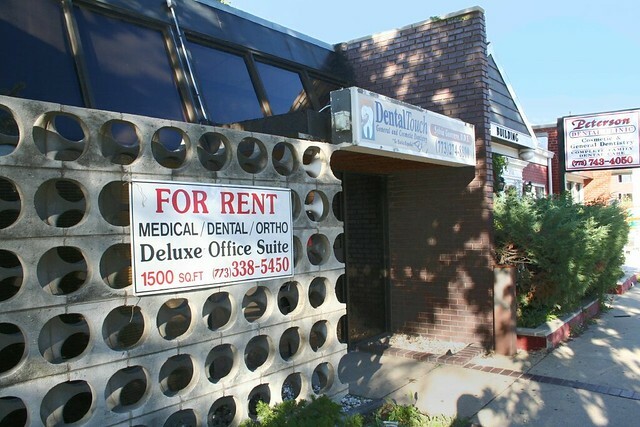 3414 Peterson is another suite of dental offices. 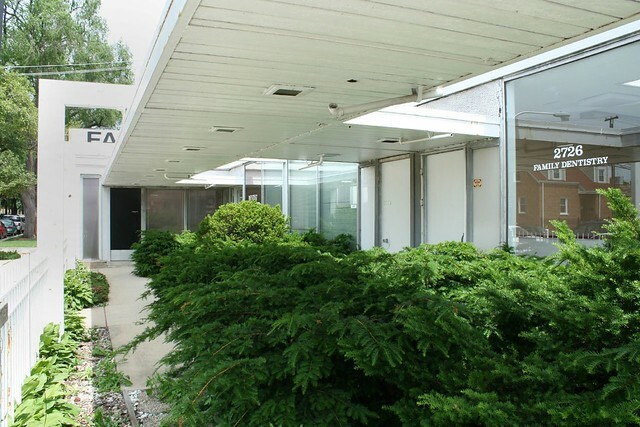 Past inhabitants have included medical practices. 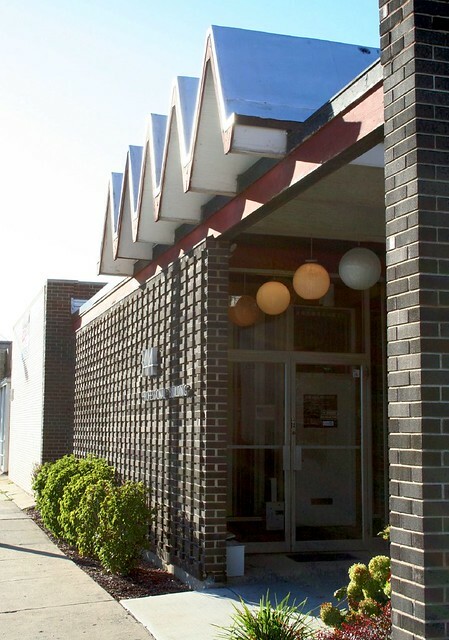 The building is a mini-grab bag of stock 1960s design elements – the folded plate roof that shelters both the exterior porch and part of the interior lobby; hanging globe lamps; brown brick arranged in a dimensional pattern; and a wall of rough stone. 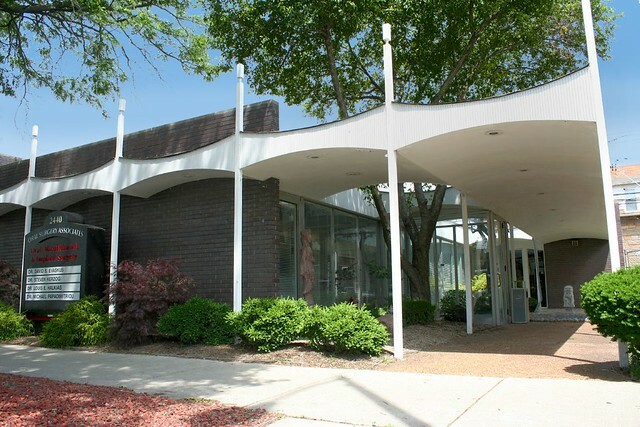 There is precious little information available about any of these buildings – the names of their architects have not found their way online – but together they exemplify the commercial exuberance of the Mad Men era. 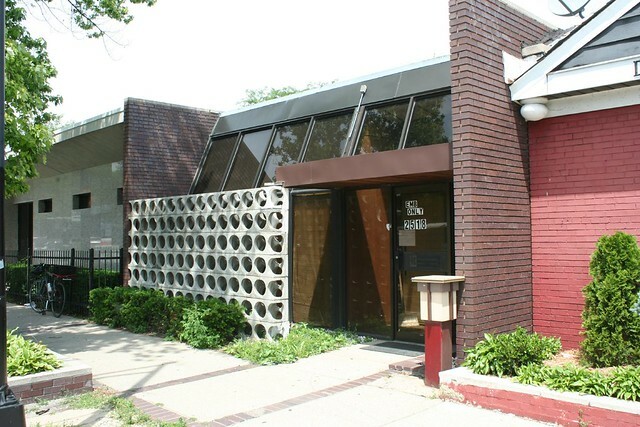 This entry was posted in 1960s Glazed Brick, Mid-Century Office and Commercial, Midcentury Modernism, Peterson Avenue. Bookmark the permalink. I love these. 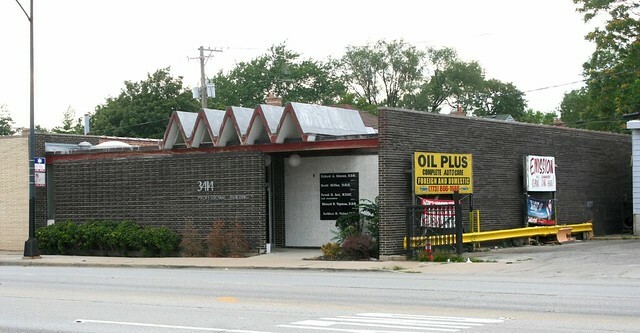 My favorite sushi place (Katsu) is on Peterson, and I’ve noticed several of these buildings on visits there. Unfortunately, it’s all the way across town from my home in Beverly, so I don’t get up there that often. Peterson is a street I used to drive down weekly with my parents as a kid and now still drive down quite often. It’s a street that’s ingrained into me. 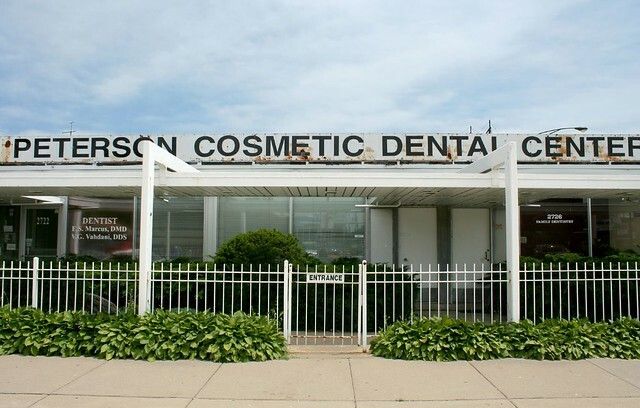 Indeed, my dentist is also on Peterson 🙂 There is a lot of great great architecture on that street, and ever since I started reading your blog I’ve come to appreciate the collection of mid-century much more. So thank you for showing these and I hope for more. I can hardly contain myself. My heart beats fast to see these edifices again – and that someone besides me even cares about them – this thrills me deeply. 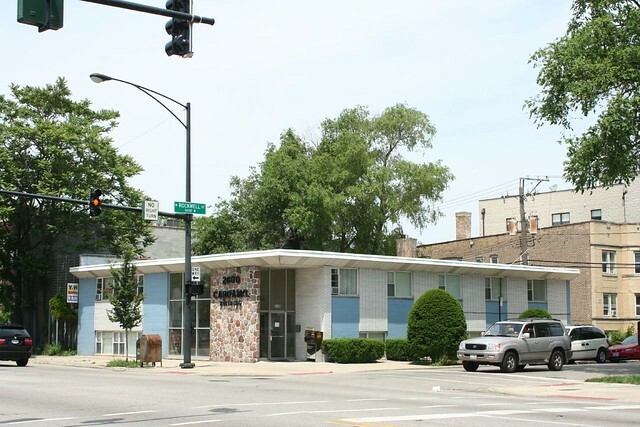 I was lucky to live in a couple of Rogers Park and Evanston mid century gems myself. 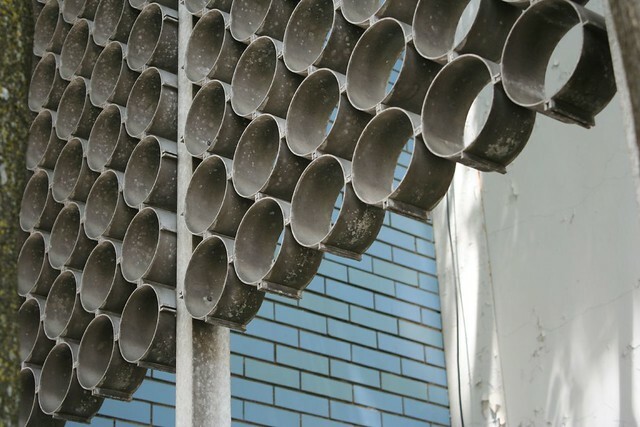 My friends always thought I was a bit crazy in my knowledge and enthusiasm for such little pockets of architecture in my area. 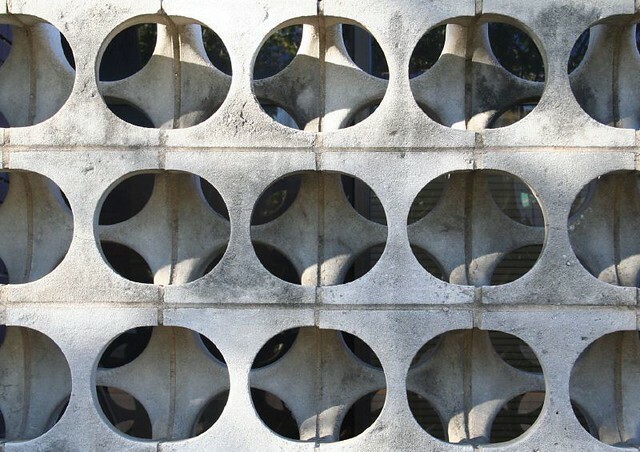 I can’t tell you how much it means to me that you’ve collected so many images of these wonderful structures – mostly it gives me a deep sense of relief. How many times I’d meant to take photos… but I just never made it a priority. Thank you so very much! Now that I live in rural upstate NY I no longer have the opportunity to drive past and see how things have fared. I’m so glad to have your ‘lifeline’ to back home… looking forward to seeing more here. I wish you all the best! Great post! I know every one of these buildings and have been wanting to do just what you have done here and get some good pics before they are gone. I cant imagine in the state they are in they will be around forever.